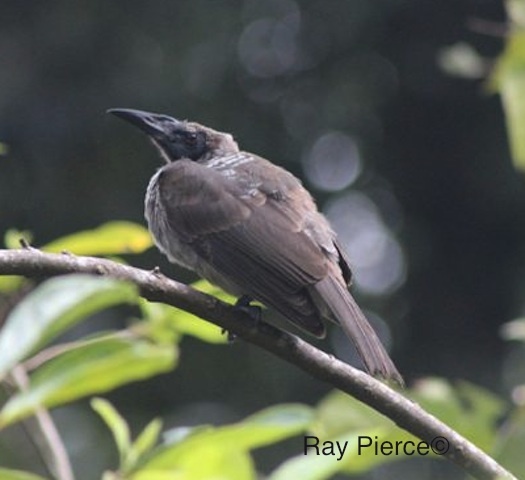 This noisy and conspicuous bird is seen around flowering trees where it feeds on nectar, fruit and insects from flowers. 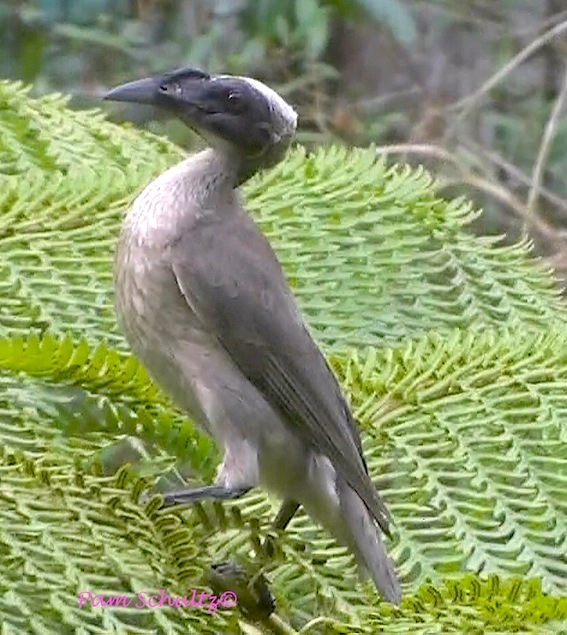 It has a distinctive curved beak with flattened knob and is noisy around flowering trees and often aggressive behaviour around to other birds. It breeds from August to April in a large hanging nest of bark strips and fine twigs, lined with vine tendrils.